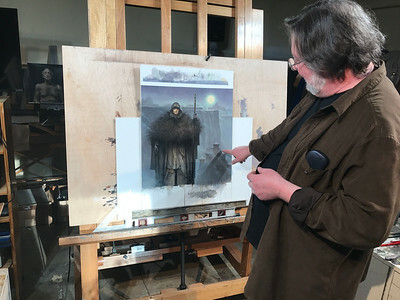 NATHAN HAVENNER / GAZETTE Local artist John Jude Palencar is pictured in his studio with the 2019 Game of Thrones “A Song of Ice and Fire” Calendar cover image. 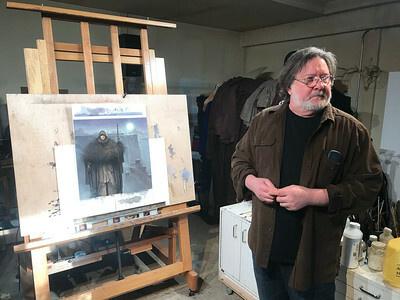 Palencar has created over 300 book covers for artists including R.L. Stein, Stephen King and Christopher Paolini. 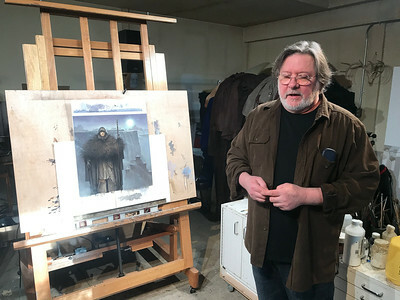 Local artist John Jude Palencar is pictured in his studio with the 2019 Game of Thrones “A Song of Ice and Fire” Calendar cover image. Palencar has created over 300 book covers for artists including R.L. Stein, Stephen King and Christopher Paolini.